Three have additionally been charged with plotting an attack. On January 7, the trial of six Uzbek and Kyrgyz nationals began in Stockholm, Sweden. The six men, between the ages of 24 and 46, stand accused of transferring funds to the Islamic State. 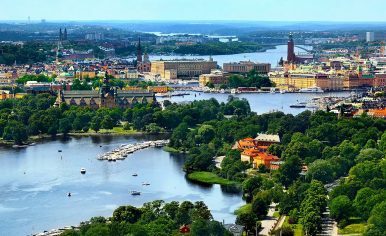 Uzbek nationals Akromion Ergashev, Bakhtior Umarov, Gulom Tadjiyev, Shoahmad Mahmudov, and David Idrisson, and Kyrgyz national Atabek Abdullayev, were reportedly all living legally in Sweden. Abdullayev, Idrisson, and Umarov are accused, additionally, with plotting an attack in Sweden. All six men deny the charges levied against them. According to Expressen, a Swedish paper, the men are Central Asian nationals with various pathways to Sweden. Idrisson, for example, reportedly came to Sweden as a refugee and received a residence permit in 2008. Others had applied for asylum or work permits and had spent time in Russia, Turkey and elsewhere. Swedish media reported that the prosecution argued in the first day of the trial that Ergashev sent almost 18,000 kronor ($2,000) to two Islamic State supporters in Syria via a Turkish middleman. Ergashev contested that the chat logs cited by the prosecution were misinterpreted. He said that the money was a loan repayment. Abdullayev, Idrisson, and Umarov were arrested in a Stockholm suburb in April 2018 after police raids in Strömsund, 375 miles north of Stockholm. According to the Dagens Nyheter newspaper, neighbors who witnessed the raid said they saw police remove more than a dozen large plastic containers from a shed on an empty property. Swedish authorities allege that the three men had acquired large amounts of chemicals to make explosives as well as other equipment, like gas masks and walkie-talkies. According to The Local, Swedish Security Service (Säpo), which carried out the April raids with local police, said they had been monitoring the men as part of their counterterrorism work. A spokesperson at the time of the initial arrests said the case had “international connections.” Other reports claimed that at least one of the men involved had contact with Rakhmat Akilov. Akilov, a rejected Uzbek asylum-seeker, had driven a stolen truck into pedestrians, killing five, in downtown Stockholm in April 2017. He was sentenced to life in prison in June 2018. Akilov pledged allegiance to the Islamic State before carrying out his attack and in a pre-trial hearing admitted to the crime. A joint investigation by RFE/RL’s Uzbek and Tajik services and Swedish news agency TT found that Akilov had been in direct with alleged Islamic State militants from Tajikistan before, during, and after his attack in Stockholm. The men currently on trial in Sweden deny the charges against them. The connection to Akilov has been reported by several outlets but details are scarce. It would be reasonable to assume that such a connection would come up during the trial which is scheduled to run until February 11 at the Stockholm district court’s high-security chamber.